Sober and elegant, dominated by shades of grey. A sideboard that harmoniously blends into the modern home in complete simplicity. 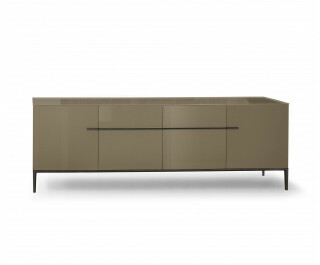 Side: lacquered sideboard with polished or painted aluminium base and handles. Painted acrylic stone top.